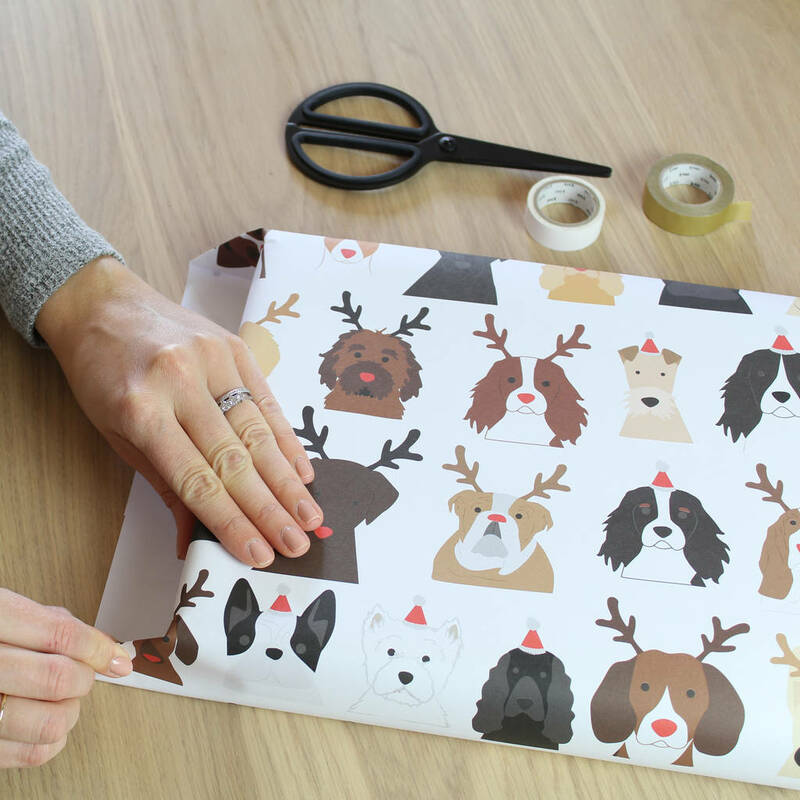 This gorgeous dog wrapping paper is sure to make someone smile... and that is before they see the incredible gift inside! 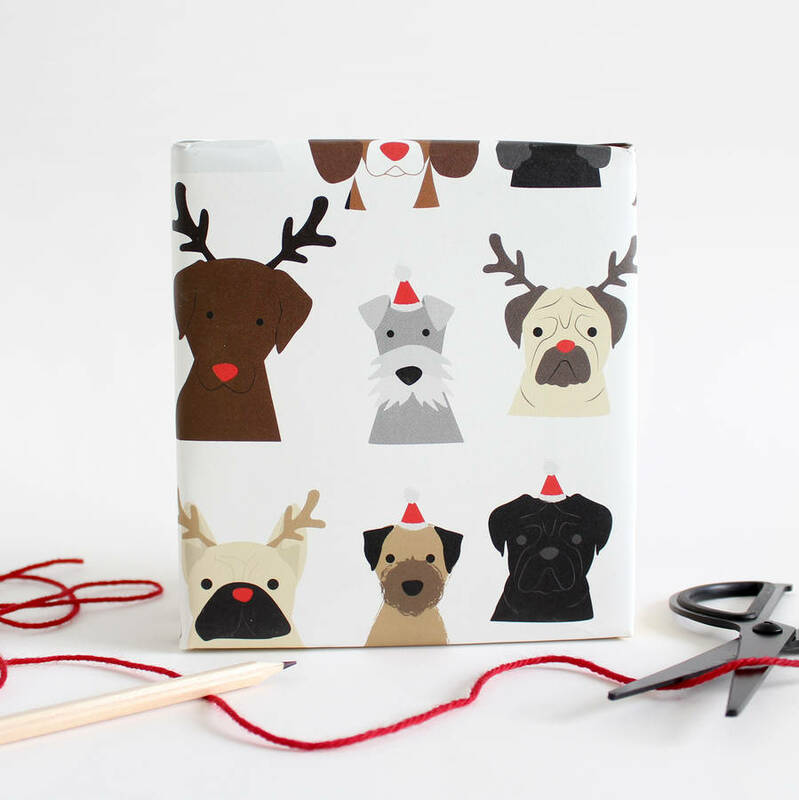 This doggy gift wrap is perfect for christmas. The wrapping paper can be bought in single sheets, or in sets, please select for the dropdown menu. 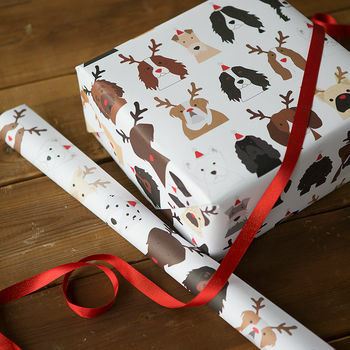 The gift wrap has been designed and printed in England...in the Midlands to be exact! Please Note: This item will be folded and sent flat, unless you select the postal tube option in the drop down menus. If you are ordering more than one design from us, you only need to select 1 x postal tube per order! Dog breeds included on wrap; border terrier, schnauzer, beagle, jack russell, pug, french bulldog, springer spaniel, cockerspaniel, labrador, dachshunds, whippet, golden retriever, westie, fox terrier, dalmatian, cockapoo, cavalier king charles spaniel, british bulldog, border collie, bassett hound and boxers. If you need a matching card with your favourite dog on simply visit our shop page for our full greeting card selection. 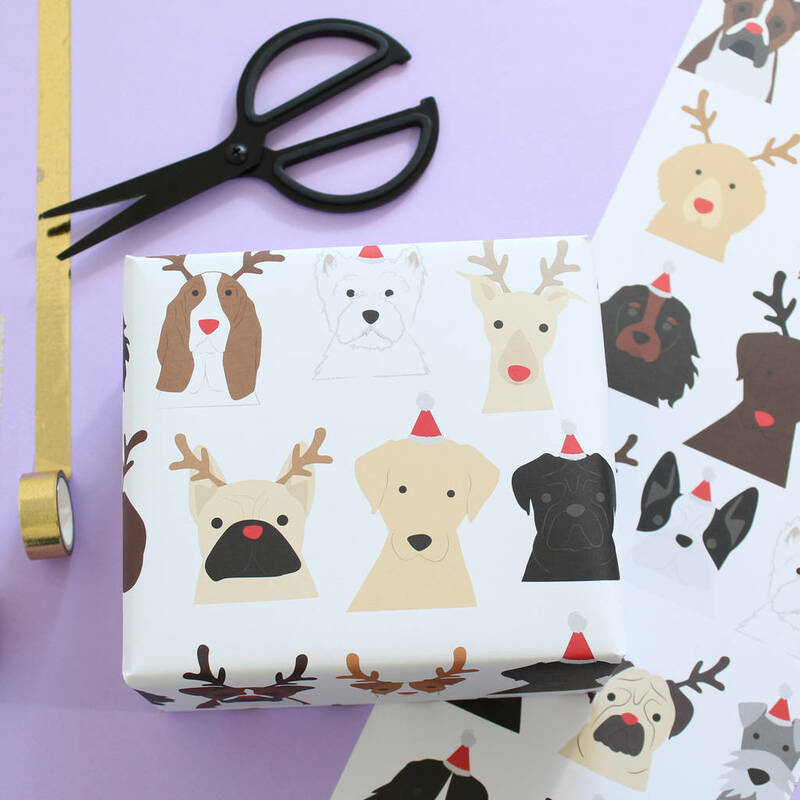 visit our store for more wrapping paper designs.